Households in the UK are increasingly turning to smart technology to protect their homes, according to new research. 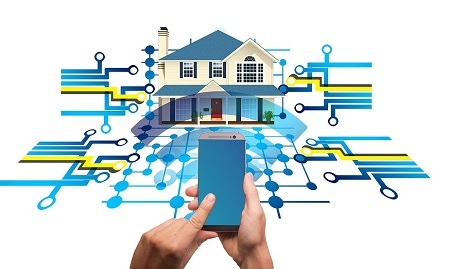 The survey of 2,001 British adults carried out by gadgets and technology e-tailer, LaptopsDirect.co.uk, found that more than a third of Brits (31%) are using some form of smart security gadget in their home. Perhaps not surprisingly, cost was an important factor when it comes to the increasing uptake of security technology, as 38% of those surveyed said the price is now more accessible. Outdoor CCTV topped the list as the most popular security technology Brits have in the home, with over half of the votes (52%). This was followed by 35% who revealed they have a video doorbell to protect their loved ones in the home. 33% have a smart alarm to keep themselves safe from intruders outside of the house and 17% install door and window sensors to keep their home safe from burglars. A smart door lock, a keyless system which tracks who is entering the home, rounded off the list of the top five security gadgets for the home (12%) that Brits own. Just under half (41%) said they are more concerned about their security in the home now than ever before. Those aged 25 – 34 years old are the age group who are most likely to have this kind of technology in their homes.